In this page you can download and install APK file directly from the browser on your Android smartphone or tablet. Just open your browser, find the link and download the APK file, and tap it – you should then be able to see it downloading on the top bar of your device. 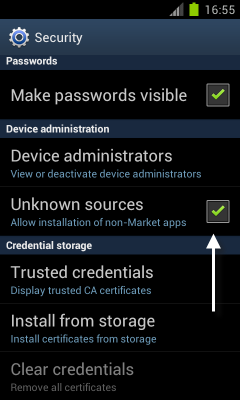 Once it's downloaded, you'll need to enable settings inside Android that enable you to install our App. Tap the check box next to Unknown Sources. Open Downloads, tap on the APK file, and tap Yes when prompted. The app will begin installing on your device.